here at the Borthwick Institute. I previously worked for Tate Gallery, organising art exhibitions, and joined the archives sector expecting to be immersed in a landscape of mostly paper and parchment documents. It’s been intriguing to encounter fine art objects in a context where they can function both as Rowntree’s business records and as autonomous artworks. Probably more interesting is the use of the oil painting form as a marketing device within the context of Rowntree’s Aero campaign. By the 1950s the photographic image was as abundant in chocolate advertising as it was in everyday life. 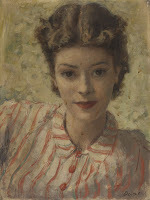 The oil painted portrait casts us back to an era before the mechanical reproduction of photography, and alludes to an experience that is special, unique and cannot be repeated elsewhere. The campaign slogan underlines this by proclaiming “For her-AERO the-milk-chocolate that’s different!” [to the arch rival Cadbury’s Dairy Milk]. Seen together the paintings are striking in their disparity of both style and subject. 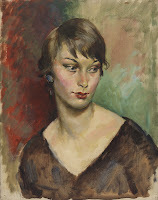 Several paintings by Devas depict young modern women wearing simple blouses, sporting gamine haircuts; others by Hepple present more aristocratic sorts. Although the print campaign ran for at least six years, it is difficult to trace insightful links between the portraits. Perhaps this is why the campaign was not a particularly successful one. Indeed much of Aero’s sales success during this post-war period can be attributed to a renewed appetite for consumer goods and the end of rationing after 1954. Norman Hepple, Mary, c1950, oil on canvas, 25 x 21 inches. Anthony Devas, Untitled, c1950, oil on canvas, 17 x 13 inches. 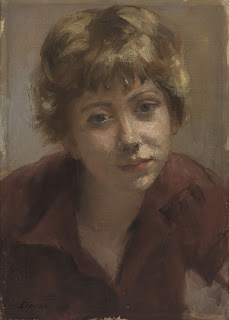 Grant, Elaine, c1955, oil on canvas, 20 x 16 inches. So who were the Aero Girls? Anna. Alice. Wendy. 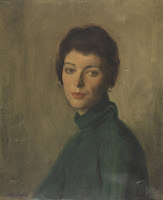 Audrey. Avril. Nancy. Mary. Yvonne. The Country Girl. The Art Student. These names are sketchily written in pencil on the back of the canvas stretchers. 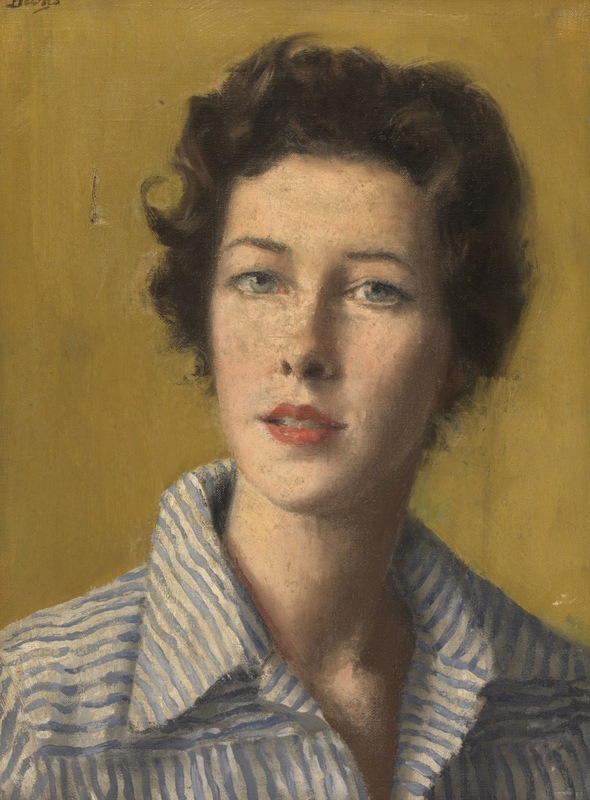 The History of Advertising Trust informs me that a family historian whose mother was one of the women depicted in the campaign “suspected that Devas sketched his mother, as a young woman, on a bus and then created a portrait from the drawing.” I also spoke to Alex Hutchinson, Nestle heritage officer, to ask if any of the sitters might have been female factory workers at the Cocoa Works factory in York, where these paintings had previously been on display. Alex replied that in fact “little is known about the sitters,” and so the mystery remains. If you know who any of the the Aero girls are we’d love to hear from you. This blog post was written by Kerstin Doble, National Archives Trainee. Who's that Girl? Who were the Aero Girls?